After facing pricing pressure for the last 10 quarters, analysts feel that telcos are likely to witness some stabilisation in their revenue and earnings before interest, taxes, depreciation, and amortisation (Ebitda) in the final (fourth) quarter (Q4) of 2018-19 (FY19). Overall, analysts have factored in 15-18 per cent average revenue per user (ARPU) growth on a quarter-on-quarter basis (QoQ) for the incumbents, as their minimum recharge plans kick in. Vodafone Idea is expected to see a sequential jump in Ebitda in the range of 24 per cent, as synergy benefits kick in. While Bharti Airtel is expected to post a net loss in the range of Rs 700 crore, its wireless revenues is likely to see a sequential jump. Reliance Jio, on the other hand, is expected to report a 2 per cent dip in ARPU sequentially. Its revenue, however, is set to rise by about 9 per cent QoQ. Revenue growth for incumbents maybe flat at 1.5 per cent, while Jio is expected to drive up to 11 per cent sequential growth. 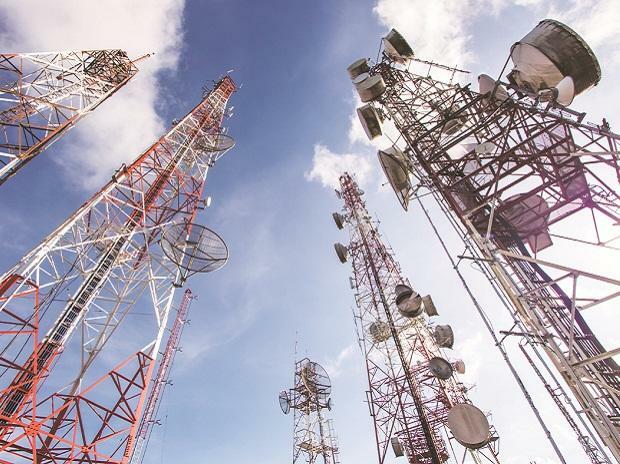 Motilal Oswal analysts Aliasgar Shakir and Hafeez Patel noted that after facing pressures for the last 10 quarters, telcos are likely to witness some stabilisation in their revenue/Ebitda performance in 4QFY19. Bharti’s India wireless Ebitda is expected to stabilise (flat QoQ) in 4QFY19 after 10 quarters of downtrend. Vodafone Idea should see 24 per cent QoQ jump in Ebitda, led by synergy gains, while Jio should continue its steady 12 per cent QoQ growth, driven by revenue increase, noted the Motilal Oswal report. “Overall, (Airtel) India wireless revenue could rise 1.1 per cent QoQ, while margins could grind back to the Rs 20-per cent range, as incremental revenue from a low ARPU bucket as well as rationalisation in sales and distribution costs could offset any increase in network costs,” noted a Morgan Stanley preview report. The Africa business is expected to suffer some seasonal pressure. The underlying assumption of stable QoQ revenues in the mobile broadband segment and marginal uptick in revenues from 2G subs, led by full-quarter impact of the ‘minimum recharge construct’, will bode well for Airtel, noted Kotak Institutional Equities. The brokerage expects 14 per cent ARPU growth to Rs 120 and stable Ebitda for India wireless at Rs 2,050 crore. Morgan Stanley analysts Parag Gupta and Gaurav Rateria expect Jio to add 28 million net subscribers in 4QFY19, while ARPU could decline marginally by Rs 2 per cent QoQ, leading to a 9 per cent QoQ revenue growth. “We expect Vodafone India’s Q4 revenues to be stable after a decline in the previous two quarters, with ARPUs improving from Rs 89 to Rs 94,” wrote Saurabh Handa, analyst, Citi Research. He further added that combined with the annualised synergy run rate improving QoQ from Rs 3,000 crore to Rs 3,800 crore (of the Rs 8,400-crore target), Ebitda should improve 16 per cent QoQ to Rs 1,310 crore. Further, investors would be closely watching high operational expenditure spends reported by telcos last quarter as they focus on aggressive network roll-out initiatives. Asset monetisation plans by incumbents, as well as the progress of fundraising plans, will be tracked as well as their resultant impact on debt-to-Ebitda ratio of respective companies. The key observation will be in terms of how far the incumbents are leveraging their capital expenditure to give Jio sustained competition.